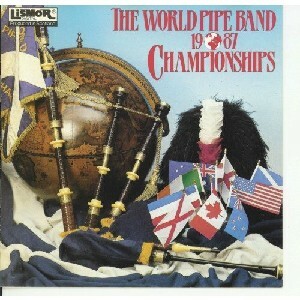 World Pipe Band Championships 1987, The Scottish Music Shop - The Best Selection of Scottish CDs and Scottish DVDs. Top Pipe bands play at the 1987 World Pipe Band Championships. 78th Fraser Highlanders, Scotrail Vale of Atholl, Strathclyde Police, Toronto & District Caledonian, Field Marshall Montgomery, Simon Fraser University, Royal Ulster Constabulary, Boghall & Bathgate Caledonia, City of Victoria, Babcock Renfrew and Boghall & Bathgate Caledonia.